The latest Economic & Construction Market Review from Barbour ABI highlights a slowing in construction activity in September this year. Figures from the ONS, quoted in the Review, indicate that the construction sector in the UK expanded by 2.9% in the three months to August 2018. This followed growth of 3.3% in the three months to July 2018. These figures show that the construction industry continued to bounce back from its poor performance in the first quarter of the year. However, much like the UK economy, this consisted of growth in June and July, while output in fact declined during August. This was perhaps a warm weather boost during the first two months, while activity reduced after that. 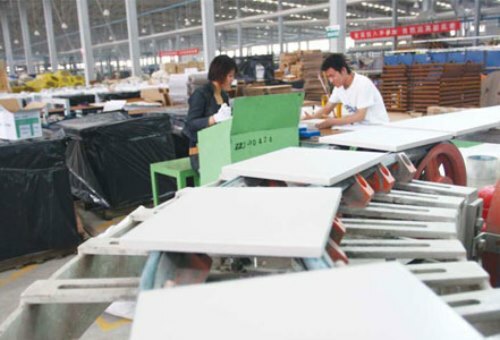 Growth in the three months to August was driven both by new work and repair and maintenance. One of the notable increases in the period was for new infrastructure work which increased by 4.7% on the previous three month period and by 4.9% compared to the same period last year. New public housing was also strong over the period with growth of 9.5% in the three months to August compared to the previous three month period. Meanwhile new private housing output continued to post strong results. Output in new housing increased by 5% compared with the previous three month period and was 8.2% higher than the same period in 2017. Other figures to note are the strength of the non housing repair and maintenance sector, which increased by 3.8% in the three months to August, compared to the previous three months. This was 5.8% higher than the same period in 2017. While the latest figures for construction output were positive, the longer term deterioration in the performance of construction output has led to lower forecasts for the industry in the coming years. According to the Construction Products Association (CPA) total growth in the construction industry is forecast to be -0.6% in 2018, down from 5.7% in 2017. This is largely attributable to the slowing of economic growth in Quarter 1 and the uncertain environment for business investment and specifically uncertainty surrounding Brexit. The level of growth is forecast to increase to 2.3% in 2019 with the expectation that there is more clarity on the UK’s new trading environment post-Brexit. However, given the lack of progress thus far on the Brexit talks there is significant variability implied in the forecasts. 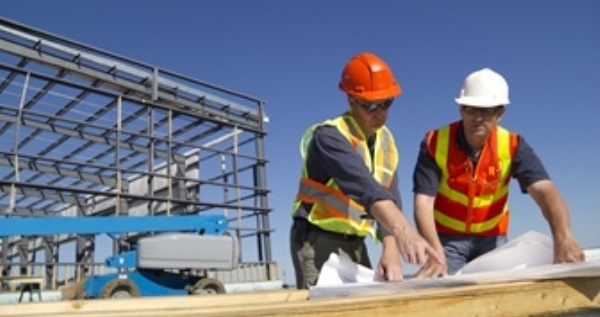 New figures have revealed the UK’s construction output decreased by 1.5% in August. According to the latest statistics from the Office of National Statistics (ONS), all new work, and repair and maintenance fell by 1.4% and 1.5% respectively. The largest contribution in the downwards trend came from infrastructure, which fell 5.1% in August compared to a 6.1% rise in July. Compared to last year, infrastructure activity has fallen by 9.3%, the sixth consecutive month of year-on-year decreases. Rod Domeney, the head of RSK Group’s Manchester office, said it is evident Brexit is “still having a degree of impact” due to the likelihood projects and investments are on hold because of uncertainty surrounding the UK’s decision to leave the European Union. “What the industry is really looking for is a sign of the Government’s clear commitment to the Northern Powerhouse, on which there have been mixed messages recently,” he said. 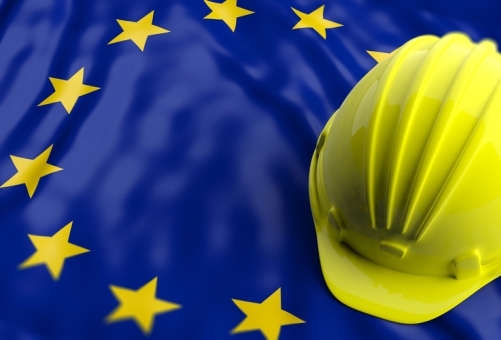 Michael Thirkettle, Chief Executive of industry consultants McBains Cooper, added the real concerns lies with what a ‘hard brexit’ will do to the UK construction industry’s labour supply. “Because of skills shortages in the UK, skilled EU trades are a vital source that will be cut off once we leave the EU,” he said. Cutting thousands of construction and housebuilding jobs would be the ‘first nail in the coffin’ for the industry, according to One Way. An analysis by the construction and rail recruitment specialist outlined that a further loss of jobs would prove critical for the construction sector. 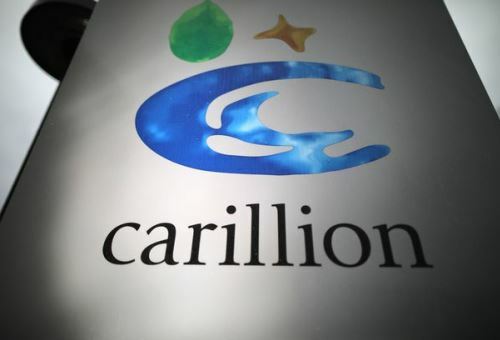 This comes at a time when the National Housing Federation has said any slowdown in housebuilding would result in the loss of nearly 120,000 construction jobs over the next decade. The UK’s construction sector has also slipped into recession for the first time in four years, with many commentators suggesting the industry is in turmoil and that the government must do more to support housebuilding. Paul Payne, Managing Director of One Way, agrees: “The news that the construction industry has slipped back into recession after four years isn’t particularly optimistic and a loss of jobs on the scale that has been suggested would almost certainly be the first nail in the coffin for the sector. “We all saw the potential impact of job losses in the steel industry and the scale of this for construction would be far greater. We need more professionals operating in the sector if we want it to recover, not less, and the potential impact of these cuts could be devastating if something isn’t done soon. “We’ve been very vocal about how the government, employers and trade bodies need to do more to engage with youngsters and promote greater interest in construction, because at the current rate there will barely be an industry left in a few years’ time. When George Osborne, delivered his Budget for 2016, he described it as a “budget for small businesses” and promised the government would adhere to its “long term economic plan”. Whilst Mr Osborne didn’t deliver any real surprises for business and the construction industry, the big measures took the shape of a reduction in business rates that will see 250,000 will see their rates reduced from April next year and 600,000 small companies will pay no rates at all. The threshold for small business rate relief will be permanently increased from £6,000 to a maximum of £15,000 and higher rate relief will rise from £18,000 to £51,000. The Chancellor also announced major new commitments to infrastructure projects by giving the go ahead to the HS3 rail scheme between Manchester and Leeds, the widening of the M62 and improved road links in the North Pennines, as he promised to make the Northern Powerhouse a “reality”. Carolyn Fairbairn, Director-general, CBI welcomed the news: “After a year of surprises, this was a stable Budget for business facing global stormy waters. The Chancellor has listened to our concerns about the mounting burden on firms and chosen to back business to grow the economy out of the deficit. Peter Vinden, Managing Director of The Vinden Partnership – a leading multi-disciplinary consultant company to the built environment – said: “The Chancellor has talked of uncertain economic times ahead and it would seem that with this budget he doesn’t intend on rocking the boat too much. We certainly didn’t see the kind of surprises the Chancellor has sprung on us in the past. 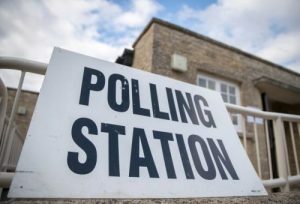 “Small businesses will welcome the changes to business rates and the government’s commitment to major investment in infrastructure projects will go some way to easing some of the jitters that the construction industry has been suffering recently. Patricia Moore, UK Head of Infrastructure for Turner & Townsend, expressed “relief” that the Chancellor was prioritising infrastructure. She said: “Future spending on transport projects such as HS3, a new tunnel between Manchester and Sheffield, and upgrades to the M62 and main A66 and A69 roads, will all help stimulate and reinvigorate the economy in the North providing a much-needed boost to jobs and trade. “This budget is a clear sign that George Osborne means business for the Northern Powerhouse. For far too long, people living and working in the North have played second fiddle to the South, suffering from unacceptable travel delays particularly on the M62, which costs time and money. This long-term investment in vital infrastructure is clear recognition that we need to catch up with continental Europe and be globally competitive. Mark Perkins, Managing Director at Ses Engineering Services commented: “We welcome the large scale infrastructure improvements announced by the Chancellor today including a £140m plus investment into Crossrail 2 and High Speed 3 along with proposals for a TransPennine tunnel linking Manchester and Sheffield. A think-tank report funded by the construction industry is calling for the government to shift £500m of funding from universities to further education colleges to promote technical education. The authors recommend that further education get the same treatment as higher education, with the same student loan regime. 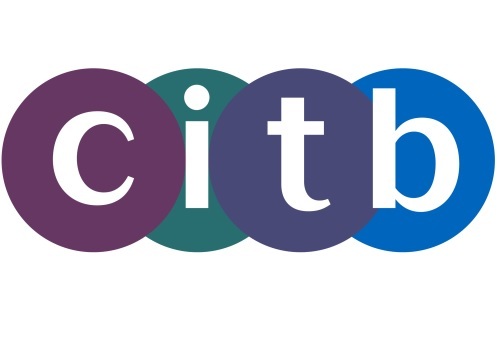 The report – Higher, Further, Faster, More: Improving higher level professional and technical education – is written by Policy Exchange and funded by the Construction Industry Training Board (CITB) and Wates Construction. It says that funding for higher education institutions (universities) has increased markedly since the introduction of tuition fees, with a rise in overall income of 26% since 2009/10. As a result, universities are sitting on £12.3bn of unrestricted reserves – worth around 48% of the entire annual budget for the HE sector. By contrast, further education colleges have seen a significant drop in their revenue, with the adult skills budget having been cut by 24% since 2009-10. According to the National Audit Office, more than one in four of the entire FE college network could go bankrupt within a year. The report calls for the Department for Business, Innovation & Skills (BIS) to redirect up to £532m of the Higher Education Funding Council (HEFCE) grant to improve the quality of higher level technical qualification on offer at FE colleges, national colleges and institutes of technology. Any remaining grant funding should be directed towards universities with the smallest financial reserves. 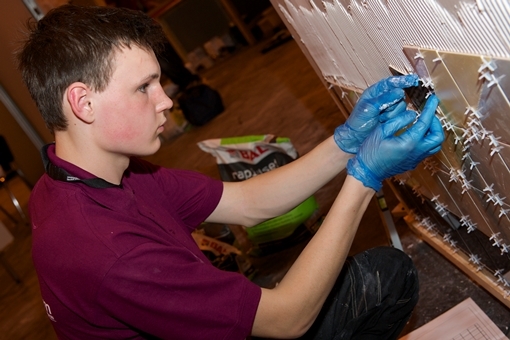 If you’re interested in becoming a tiler or developing your skills, visit our Training Page.